The names of new winners of the exclusive deposit campaign were released: Bank gave out the trip to the Issyk-Kul to 2 happy clients and their families, 1 clients received plasma TV and 5 clients received smartphone. 24 participants chose to refuse interim prizes to continue contending for the main prize– apartment. 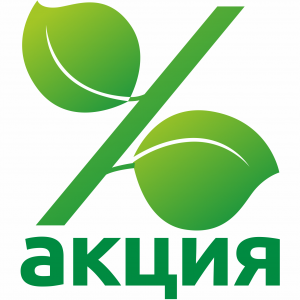 “I made a deposit in Osh branch of the Bai-Tushum Bank, because it is very important for me to make regular savings. However, the specialist, who served me, said that I can make savings and become a participant of the exclusive deposit campaign and told the details about conditions. I did not have a goal – to win something, but I was pleasantly surprised when the Bank’s staff called and informed me that I won a trip for two to the Issyk-Kul in high season, I was glad to share this news with my husband, it was a real surprise for him. Thanks to the Bai-Tushum Bank for an interesting campaign and a great gift. I got to combine business with pleasure,”- appreciates Dilbarkan, one of the winners. Let us recall that the campaign will continue until December 15, 2016! It means that each client, who makes a savings deposit with Bai-Tushum and uses other Bank’s services, not only gets high quality services, but also receives valuable presents: certificates for household appliances, a trip for two to Dubai and Thailand. Make a deposit of at least KGS 10,000 for a period of 12 months at 14% p.a. All campaign participants, who accumulate KGS 50,000 and more on their deposit, get guaranteed presents. Deposits with Bai-Tushum Bank provide a simple and reliable way to save and increase money, as well as to receive thousands of pleasant presents. New winners and new prizes wait ahead. Start saving for a dream now and become the owner of apartment in Bishkek, vehicle or voucher for a trip to Thailand or Dubai for two! Let your money work for you, helping to make your dreams come true!